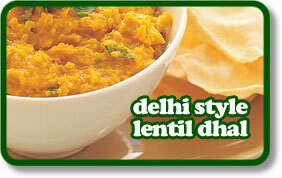 In a large pan, add the lentils, chilli and coriander stalks and 4 cups of water. Bring to the boil and simmer for about 25 minutes until the lentils are soft. Add the tomatoes and simmer for 3 minutes. Remove from the heat. To make the tarka, In a small pan heat the oil until hot, add the cumin seeds and simmer for 2-3 minutes until dark. Add to this the onion and cook for 2-3 minutes. Stir in the garam masala and cayenne pepper and stir for 1 minute. Remove from the heat then tip into the lentils, stir well. Add the salt and adjust to your taste. Sprinkle with the coriander leaves and serve with rice or bread. It’s great to accompany another curry. Try the Chicken Chukka for something quite spectacular.